Full feature coming up, but I wanted to throw down some quick hitters about this battle-proven bipod. 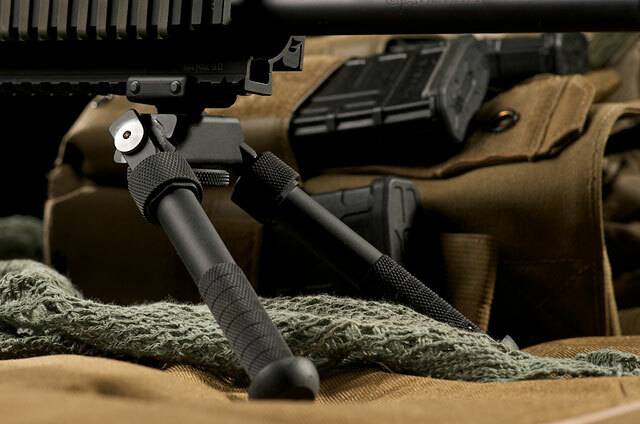 The Atlas has been in use in combat for years now, and is hands down the most bomb-proof, reliable, and maneuverable bipod available for combat rifles. Fully customizeable rotation of both legs individually, meaning you can come up with any number of combinations for different terrain and shooting positions. Initially will deploy slower than competitors (Harris) due to having to deploy each leg separately, but the saved weight and familiarity with the deployment of the Atlas will negate this after some use. I'm gonna put this thing through the ringer and it will handle what I throw at it and much more. Videos coming. Stay tuned.